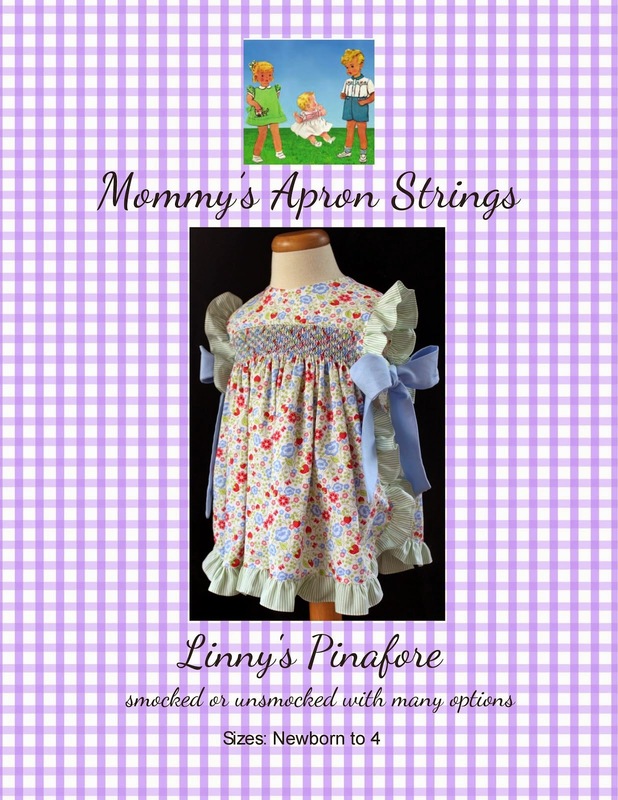 This dress started as a mystery smock-along with Adorable Heirlooms last summer. I fondly remember the sunny days spent smocking at the beach while my kids played with friends! I know the promise of those days is in the air and I can't wait!! So, anyway, the smocking was done, but it just sat in a ziploc bag in my "to-do" pile. A few days ago, something inspired me to finish it. I orignally planned it to have short sleeves. I remade them twice because they weren't full enough, then my online friends recommended making it sleeveless. I decided I liked that idea, so I removed the sleeves again. I bound them with the yellow gingham. I didn't have any of the blue piping left after all the sleeves, so I just left it plain, but I think it looks good anyway. The sleeves were not a total waste, though! I cut one down to make a puffy pocket. I used the same gathers and just cut it into a rounded shape, then hand-appliqued it on. I had many problems with the pattern I started with, so I am not going to mention it. I would recommend the Chery Williams' Basic Yoke or a Children's Corner pattern if you want to do something similar. This dress just says "spring is coming!" I hope it's right!! 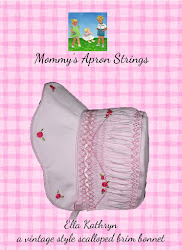 Nice Smocking! I have great admiration for people who have such great handsewing skills! Beautiful! I love the combination of yellow and blue, and the smocking is incredible! Thank you ladies!! I know you are both wonderful sewists, too!! Lovely work with the smocking! And I appreciate the way you didn't let the sleeves totally go to waste - good thinking adding that pocket.